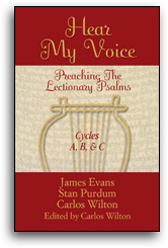 There are two themes flowing through this psalm. These themes are connected, a part of each other, like two sides of a coin. But they are also separate, especially as they manifest themselves in human experience. While existing closely together in thought, they diverge dramatically as they work themselves out in life.